Marie-Anne has something of a fractured home life. Her husband Ahmad, from whom she has been separated for four years, has returned from Iran to France at her behest to finalise their divorce papers, however his lack of reliability in the past left her with doubts of his arrival this time, so no hotel was booked and he is stuck sharing a room with Marie-Anne’s new boyfriend’s young son, whose mother remains in a coma. Add to this Marie-Anne’s rebellious teenage daughter Lucie, from the husband before Ahmad, who refuses to be even civil towards Marie-Anne’s new partner Samir, and a closet full of skeletons just desperate to fall out, and you’ve got a pot that’s not just simmering, but threatening to boil over. This, like Asghar Farhadi’s previous film A Separation, with which this shares a lot of similarities, is a solid drama. There’s no big special effects, no eye-rolling inspirational speeches, no multi-million dollar lavish action set pieces that level half a city. No, this is a film entirely focused on the characters, their relationships and the secrets they hide. It therefore rests almost entirely upon the shoulders of its actors and script. Acting-wise there isn’t a false player amongst the cast. 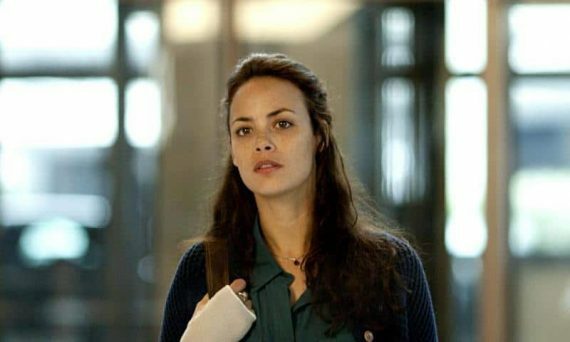 Ali Mosaffa, as the calm, methodical Ahmad, appears initially to be the film’s lead, and handles the role well before the attention focuses more on Bérénice Bejo’s Marie-Anne, who is a world away from the effervescent champagne-bubble that was Peppy Miller in The Artist. Marie-Anne has very little in her life that does not cause her some degree of stress, and it shows. It’s a fragile, frazzled, brink-of-destruction performance, in which one more hassle could cause her to break down entirely. The fact that she never does, and remains resolute in the face of such hardships only solidifies how real the story being told in this film is. Farhadi is proving to be very good at depicting real life. On the surface, both this and A Separation have a soap opera feel to them – they revolve around realistic, splintered family units, facing everyday struggles and relatable woes – but whereas television soaps often feel forced, cheesy or ludicrous, here everything that happens is entirely believable, thanks to a script that delivers plot turns deliberately, but also when they would naturally occur, not necessarily when it is the best time to increase tension. The staging is also thoughtfully undertaken, with various conversations occurring out of earshot – either through thick glass, outside of a car or beneath a cloud of traffic noise – yet still it is clear what is being said, regardless of whether we’ve heard it. If I have one complaint, it’s that this feels too similar to A Separation. This isn’t necessarily a bad thing – I loved that film – but the territory it covers is wildly similar, as both deal with the negative impacts that occur when a couple breaks up. Granted, in this case the connection to the breakup is much more tenuous, but it’s there nonetheless. I’d be very interested to see what Farhadi would do with a script more different from those he has worked on so far, but then again there are many great directors who have produced an outstanding body of work from well within their comfort zone. If Farhadi has found his, then so be it. This is the kind of film that, about halfway through watching it, I wasn’t sure if I wanted to continue. It’s not exactly what you’d call an enjoyable viewing experience – the subject matter and realistic nature can be quite depressing at times – and it occasionally feels a little drawn out, but I felt that – as with A Separation, during which I’d felt a similar way – after the film had finished I would look back on the experience as a whole in a positive light, because revelations would occur later in the story which would tie everything together in a manner that, whilst still not exactly fun, would at least be satisfying. This was completely the case, and with hindsight I see that everything was as it needed to be for the film to work. This is all except for the final scene – and don’t worry, there’s no spoilers here – which is beautiful and heart-breaking, however it wasn’t the right scene for the film preceding it. It seemed to conclude a story we hadn’t been paying complete attention to, focusing not on the central plot but another strand instead. Don’t get me wrong, it’s an absolutely perfect ending to a film, just not this one. That being said, this is still very much worth your time. This entry was posted in 08/10, Choose Film, Review, Unlisted and tagged Ali Mosaffa, Asghar Farhadi, Babak Karimi, Berenice Bejo, Elyes Aguis, Jeanne Jestin, Pauline Burlet, Sabrina Ouazani, Tahar Rahim, The Past by jaycluitt. Bookmark the permalink.